The move came at a time when a high-powered committee headed by Prime Minister Narendra Modi met for the second time to decide the fate of Verma. 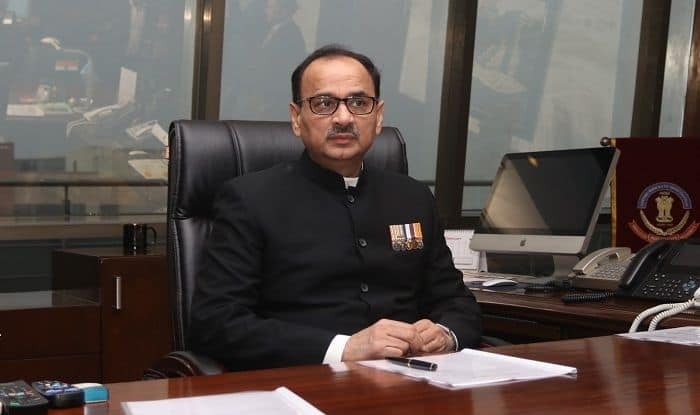 New Delhi: A day after assuming office, CBI Director Alok Verma on Thursday ordered transfer of five officials of the agency. The five officers are Joint Director Ajay Bhatnagar, DIG M K Sinha, DIG Tarun Gauba, Joint Director Murugesan and Additional Director A K Sharma. The move came at a time when a high-powered committee headed by Prime Minister Narendra Modi met for the second time to decide the fate of CBI Director Alok Verma, reinstated by a Supreme Court order after he was sent on forced leave by the government. The court, while reinstating Verma, however, made it clear that he will desist from taking any major policy decision till a high-powered committee considers the issue of “divestment of power and authority”. The development comes a day after Verma, who joined the office 77 days after he was sent on forced leave, cancelled most of the transfers ordered by M Nageswar Rao, who was replaced by him as interim chief. Meanwhile, CBI Deputy SP Devender Kumar moved the Delhi High Court against Director Alok Verma’s decision to reverse transfer orders of various officers. The plea is likely to be listed for hearing on Friday before Justice Najmi Waziri, who has already reserved verdict on various petitions of Special Director Rakesh Asthana, Kumar and middleman Manoj Prasad seeking to quash the bribery FIR against them.